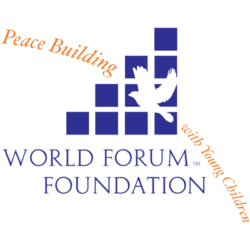 The latest news, resources and ideas about peace building with children in regions experiencing or emerging from armed conflict, compiled by the Working Group on Peace Building with Young Children. Building networks of knowledge, support and advocacy for early childhood practice and policies in regions experiencing or emerging from armed conflict. P.E.A.C.E. NEWS Vol. 37: Spring 2016 (Previously CEASE).